My name is Philips Abiodun Okeleye. I am a computer Scientist|Blogger|Web designer and an upcoming artist. 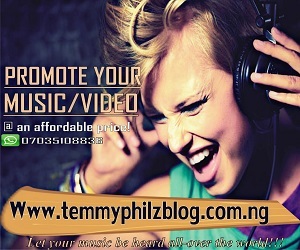 I am the C.E.O of Temmyphilz Blog. I have a great passion for music and tech. 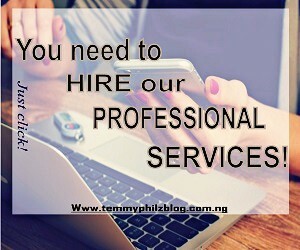 Temmyphilz.blogspot.com is a site that delivers information such as Music,Educative articles,Entertainment, Tech related contents and others to her visitors around the world. We ensure that our visitors never go bored whenever they visit our site. Our Mission is to be the best site delivering nice and quality contents to our visitors around the world,making them feel comfortable and excited.Our blog is updated regularly.